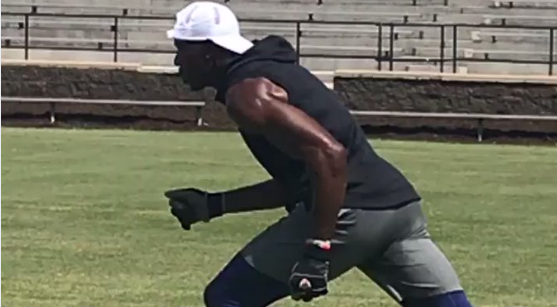 You would think that being inducted into the hall of fame would deter Terrell Owens from trying to continue his pro football career, but that was far from the case. On Saturday, the former NFL WR was enshrined into the Pro Football Hall of Fame. It’s been eight years since Ownes laced up his cleats and played pro ball, but he hasn’t stopped trying, which is exactly what he was doing some 24 hours later as he worked out for the Saskatchewan Roughriders as head coach Chris Jones looked on. Owens recently had his rights relinquished by the Edmonton Eskimos, allowing the six-time NFL Pro Bowler to negotiate with other CFL teams. Owens played his last full NFL season in 2010 as a member of the Cincinnati Bengals, and was signed by the Seattle Seahawks in 2012, but was cut some three weeks later.